Botox is the most common non-surgical cosmetic treatment with over 7 million Botox treatments performed in 2017. We've all heard of Botox, but do you really know what Botox is and how it works? If you're considering getting Botox in Long Island, consider coming to us for our skilled and knowledgeable staff. Before you come in, keep reading to learn about Botox treatments. Once you feel ready and knowledgeable, we'll make sure that your procedure goes smoothly and that you understand exactly what will occur during your appointment. Botox refers to a toxin that is produced by the bacteria Clostridium Botulinum. In high amounts, this neurotoxin can cause food poisoning and, in rare cases, the dangerous illness botulism. However, when isolated and injected in small amounts, Botox is completely safe and has a number of health and cosmetic benefits. Botox is found naturally in the soil, lakes, and even inside other organisms. As we mentioned, Botox is a toxin produced by a type of bacteria. When injected into muscles, Botox interferes with the signaling between those muscles and the brain. Muscles have two states: contracted and relaxed. The natural state of our muscles is relaxed. In order to contract, the brain will signal for the release of a chemical called acetylcholine. This chemical induces muscle contraction by binding to receptors on the muscles. When in the presence of Botox, however, acetylcholine is unable to bind to those receptors. This means that the muscle doesn't get the signal to contract and will stay relaxed. You might be surprised to learn that there are actually many different applications of Botox for both health and appearance. Let's look at a few of the most common applications. By far the most common use for Botox is to eliminate wrinkles and fine lines on the face. As we age, our skin loses collagen and tightness, which can cause wrinkles, fine lines, and sagging. When Botox is injected into these areas, it prevents those muscles from contracting. This causes line and wrinkles to relax and soften. It also will prevent new wrinkles and lines from forming, since those muscles won't be able to contract while the Botox is present. The same effects that cause wrinkles and fine lines to fade away with Botox treatments will make your skin look younger and healthier. We mentioned that as we get older, our skin tends to be more wrinkles and lose the tightness that we had when we were young. Botox treatments will make your skin look tighter and less wrinkled, which will help you look more youthful. Certain wrinkles like forehead lines and Crow's feet are associated with age, as well. Getting Botox to eliminate these age-related wrinkles can also help you achieve a younger look. Botox has been approved to treat these types of spasms, most commonly facial spasms, neck spasms, and eyelid spasms. This is both a medical and cosmetic application: some people find that the spasms are merely annoying, but they are uncomfortable with how their face looks during spasms. However, spasms can also interfere with your health and daily life, making it hard to perform tasks, see properly, etc. Botox injections in the problem areas will freeze the muscles and prevent them from contracting and relaxing abnormally (aka prevent spasms). Botox can also be used to treat chronic or excessive sweating. It can be injected in problem areas, usually the armpits, palms, and feet. Similar to how the Botox toxin will prevent muscle contraction by interfering with neural signals, it will also prevent the signaling that induces sweating. Botox will prevent signals from triggering sweat glands, which will provide relief to those suffering from excessive sweating. People with chronic migraines have 15 or more headache days per month. Other treatment methods only work to help a migraine once it's begun. Botox, on the other hand, works to prevent migraines before they hit. In this case, the Botox is usually injected in the face, forehead, and neck areas. It's not entirely understood why Botox can help prevent migraines, but it's believed that the Botox toxin interferes with pain signaling to stop migraine pain before it can begin. Chronic migraine patients using Botox as a treatment report that their headaches were reduced by 50%. What Would Botox Treatment Entail? 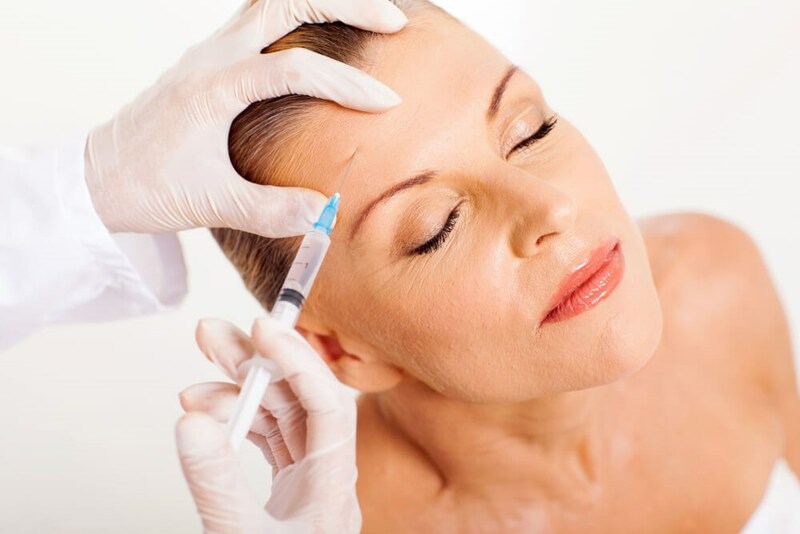 During a Botox treatment, you would discuss with the practitioner exactly what you want to get out of the treatment. It's most often used for cosmetic uses, especially for erasing fine lines and wrinkles on the face. Once you determine what you're looking for and discussed with the practitioner, the treatment can begin. The Botox comes in a powder that is then combined with a saline solution. This solution is then injected directly into the area you and your practitioner discussed. Botox treatments will last for anywhere between 4 and 6 months. The effects won't last forever, so you may want to get periodic treatments to keep the desired effects. Botox is an extremely common treatment, but that doesn't make it any less nerve-wracking if you haven't gotten it done before. Hopefully, this article helped you understand how Botox works, how it can help you, and what you can expect. If you're thinking about getting Botox in Long Island, contact us. We have some of the most experienced and trustworthy practitioners in the area that will make your experience smooth and easy. You can also contact us with any other questions you have about the procedure.